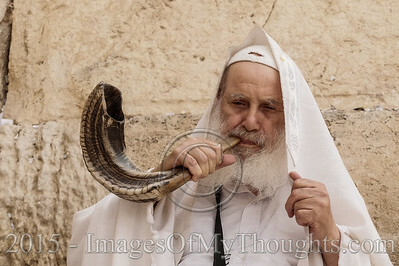 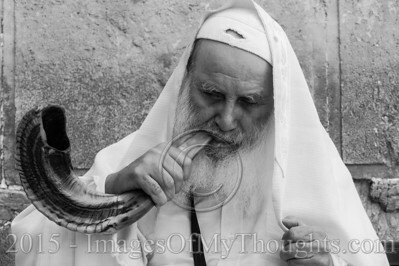 An elderly Jewish man blows a traditional Jewish shofar, made of a ram's horn, at the Western Wall. 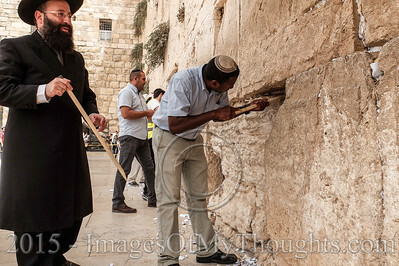 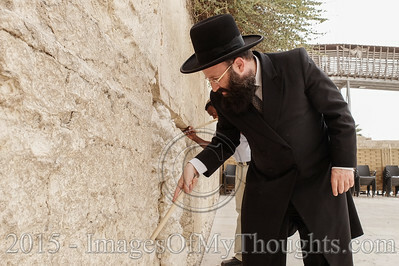 Rabbi of the Western Wall and Holy Sites in Israel, Rabbi SHMUEL RABINOVITZ, leads a team of employees in clearing prayer notes from the crevices of the Western Wall on the eve of the Jewish New Year. 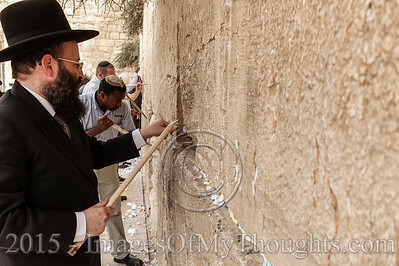 Prayer notes are cleared twice a year and ceremoniously buried in the Jewish cemetery on Mount of Olives in Jerusalem. 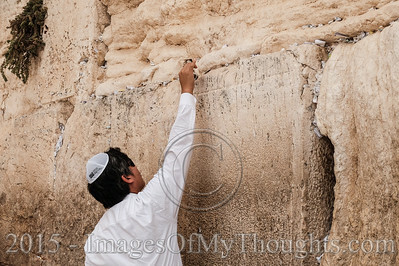 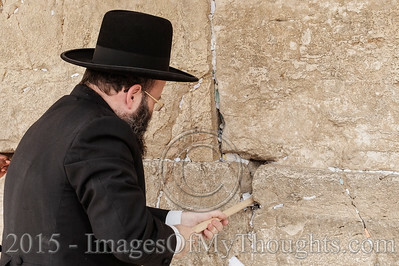 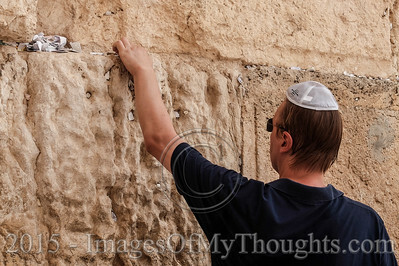 A man places a prayer note within the crevices of the Western Wall. 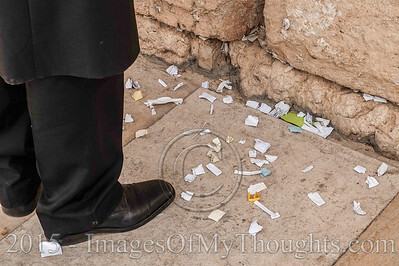 Prayer notes are cleared twice a year and ceremoniously buried in the Jewish cemetery on Mount of Olives in Jerusalem. 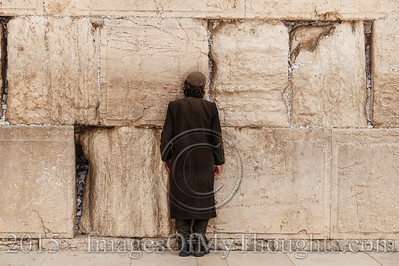 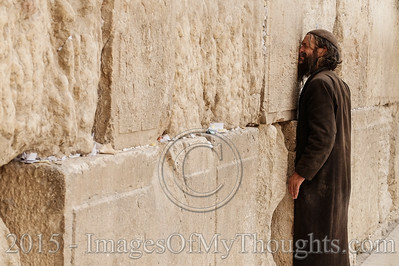 A man prays in earnest at the Western Wall.